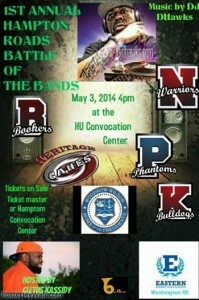 The Hampton Roads Battle of the Bands Saturday May 3 @ 4 p.m.
Get your tickets at all Ticket master locations and the HU Convocation Center. 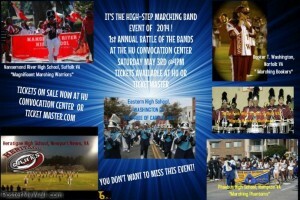 Tickets are $15 plus ticket master fees. 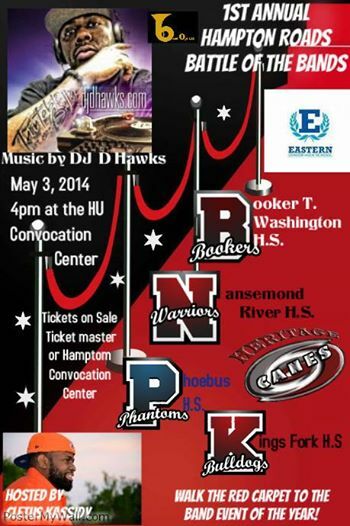 The program starts at 4 p.m. 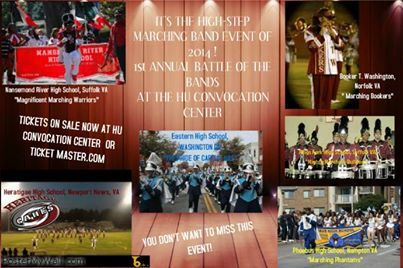 The Convocation Center is located on the campus of Hampton University. 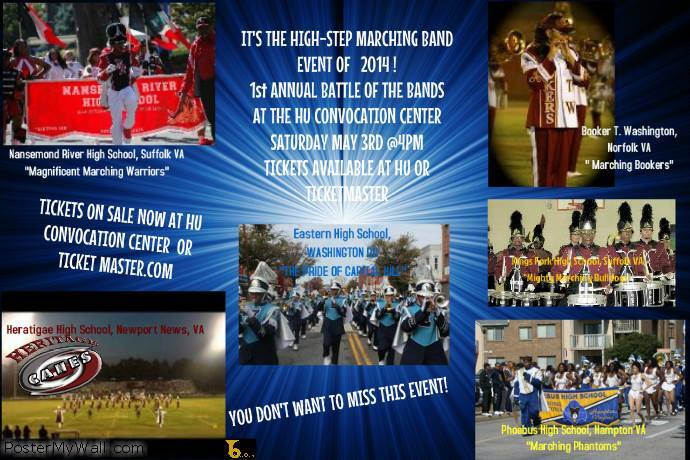 The battle will feature Phoebus HS, Heritage HS, Eastern Senior HS (Washington D.C.), Booker T Washington HS, Kings Fork HS, and Nansemond River HS. with special guest 7 time Grammy award and 13 time Stellar award winning VICKIE WINANS!!! !